I Hear The Train a coming…. The company reported on Friday that it had narrowed its net loss in the fourth quarter of 2018 from a year earlier. 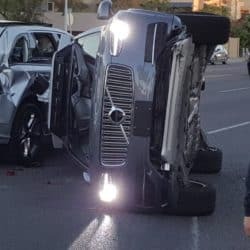 But excluding certain one-time items, including the sale of some of its businesses, Uber’s losses for the quarter rose 88 percent compared with the previous year, to $842 million. When first introduced, the rules didn’t sit well with Lyft, Uber and other firms. Lyft told Engadget at the time that the rules would incentivize shorter rides and discourage trips from boroughs outside of Manhattan. 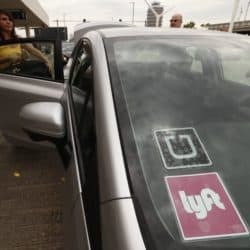 Another organization, the Independent Drivers Guild, said contract drivers in the city were earning just $11.90 per hour before the law went into effect. 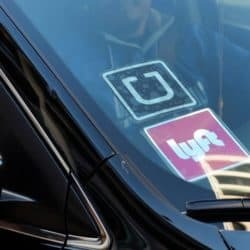 Lyft and Juno have filed suit in State Supreme Court in Manhattan to block regulations set to go into effect on Friday and make New York the first city in the country mandating a minimum wage for ride-hail vehicle drivers. Uber loses appeal against landmark UK workers’ rights ruling Chris Ratcliffe | Bloomberg | Getty Images Uber lost an appeal against a landmark 2016 ruling that the ride-hailing firm should treat its U.K. drivers as workers entitled to benefits like a minimum wage and holiday pay. Help who? 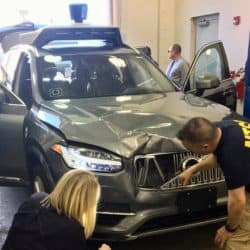 Uber warned about self-drive car crashes A leaked email from an employee warned Uber’s bosses that its self-drive cars were involved in multiple crashes, only days before one killed a pedestrian. 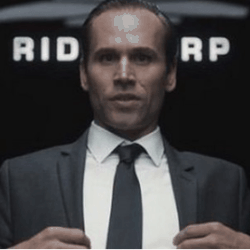 Robbie Miller, operations manager for Uber’s self-driving trucks, wrote to the firm’s top executives saying the cars were “routinely in accidents”. 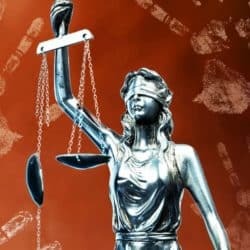 but don’t hold your breath Defunct startup Sidecar sues Uber: ‘hell-bent on stifling competition’ SAN FRANCISCO (Reuters) – Defunct startup Sidecar Technologies Inc, which pioneered on-demand ride-hailing, is suing Uber Technologies Inc, alleging it engaged in predatory pricing and anticompetitive practices that ultimately put Sidecar out of business. The lawsuit, filed in U.S.